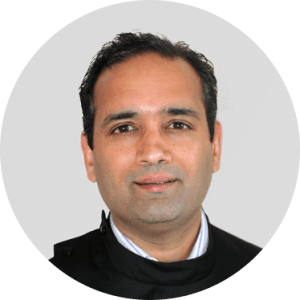 Can dental implants treatment help me ? How much do dental implants cost in Bristol? 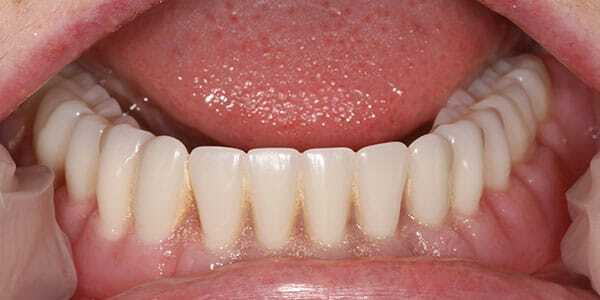 Ready to start dental implants treatment? * Save £75 on your consultation if you go ahead with treatment. T&C’s apply. Limited appointments per month – Call us for the earliest available appointment. If you have missing teeth due to an accident, or gum disease, then dental implants are an option; they are considered a more permanent solution for missing teeth, whether it is to replace a single tooth or multiple teeth. Patients who have this treatment experience an increase in their self-confidence and look forward to showing off a smile that they would normally hide. A dental implant is a small titanium post, which is an artificial replacement for a missing tooth root. When surgically implanted into the jaw, dental implants “fuse” with bone tissue in the jaw to form a strong support for an artificial tooth. Implants are commonly used to support a crown, a bridge or secure dentures firmly in place. 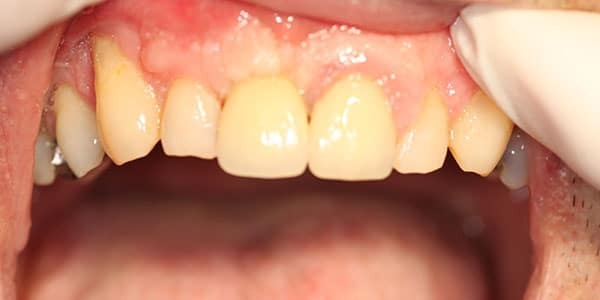 Missing teeth over time can result in bone loss and create “sunken cheeks” or a collapsed face, and even wrinkles. This can make you look older than you are. 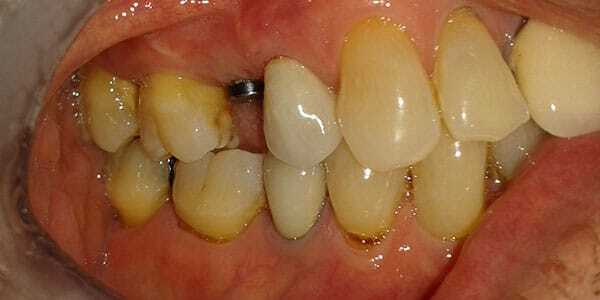 You can even develop problems with eating, as hard or sharp foods can damage the exposed gum line when chewing. 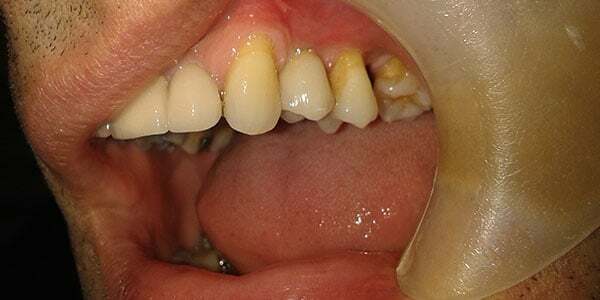 Dental bridges can help, however they don’t stop the gum line from shrinking. 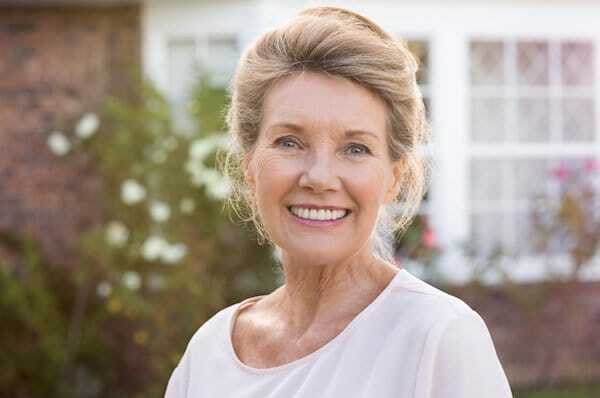 Dental implants provide a more comfortable and longer lasting solution, as they can help stop any face sagging, and restore the pleasure of eating, as they function like a normal tooth. A dental implant is a small, sturdy, titanium post that is placed into the jaw. 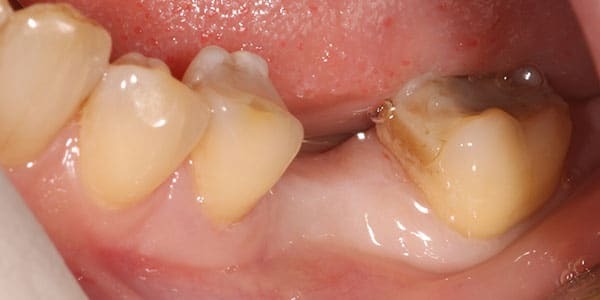 It acts as the root structure would for a natural tooth.  The abutment is an attachment that connects the dental implant (on the lower part of the abutment) to a crown (on the upper part of the abutment). 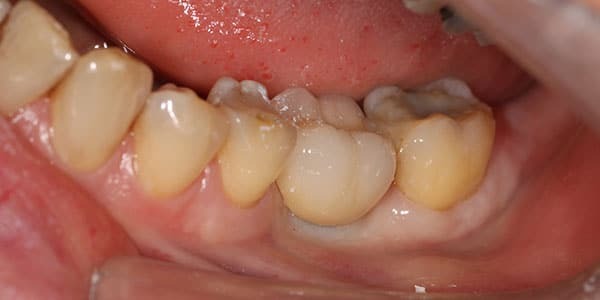 The abutment will not be visible once the crown is fitted. 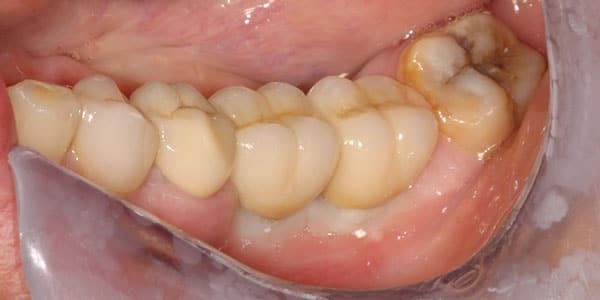 A replacement tooth called a crown is created and placed onto the abutment. 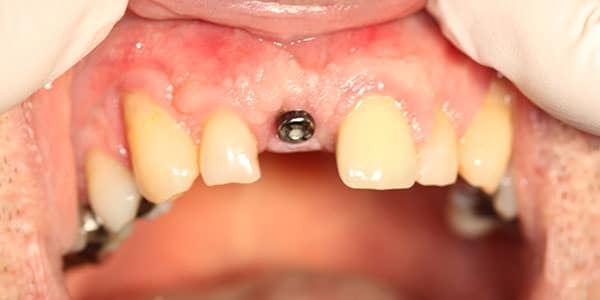 Where several teeth are missing, a bridge can be placed on an implant abutment. 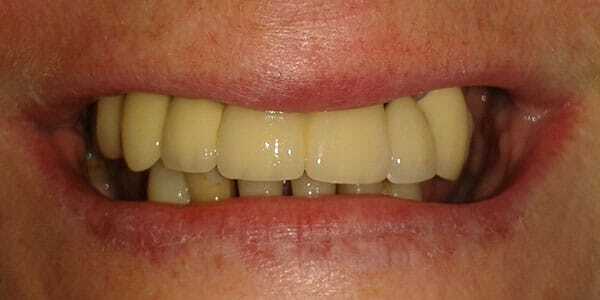 Where all teeth are missing, removable and fixed restorations can be supported, either by implants or implant bars. The procedure takes a series of appointments. First, a thorough mouth assessment is carried out, including x-rays and study models, and a subsequent treatment plan is drawn up. The next stage is the surgical appointment, whereby the soft tissues are prepared under local anaesthesia. 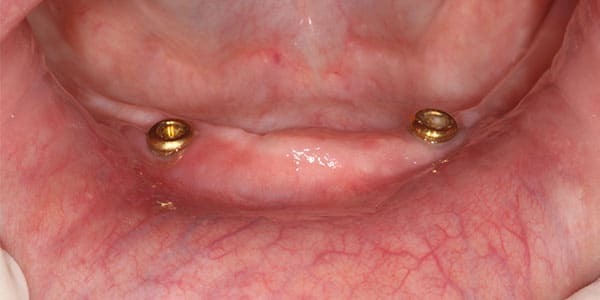 A small hole is drilled into the jaw bone, into which the dental implant is placed. After the healing period, which takes from two to six months, the implants are checked to ensure that they have fully integrated into the bone. A minor surgical procedure is then carried out to expose the implant so that an abutment can be fitted onto it. 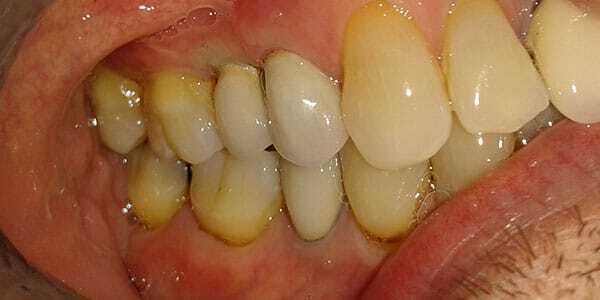 An impression is taken, which is then sent to the dental technician for the construction of the final crown or bridge. 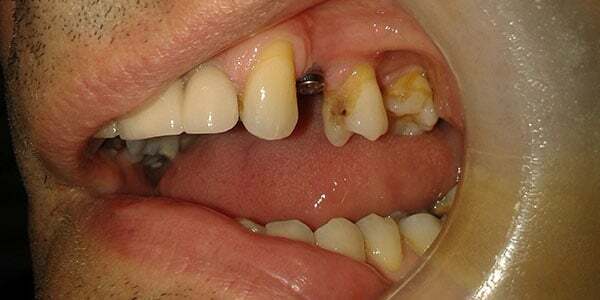 The cost of treatment depends on the number of teeth missing and dependant on the implant components, laboratory and clinical fees. 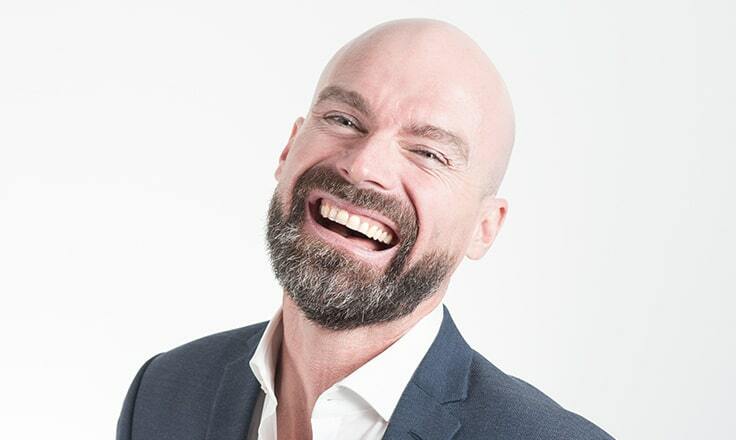 The replacement cost of a single tooth is £2200.00 – for more information click here to view “Teeth Now”, In general, the more teeth missing, the cost per replacement tooth reduces. *Save £75 on your consultation if you go ahead with treatment. T&C’s apply. Having dental implants treatment is a life changing investment that all of our patients wish they had done earlier. We have conducted over 1000 successful implant procedures for our patients in Bristol. View our implants example by moving the slider on the image. 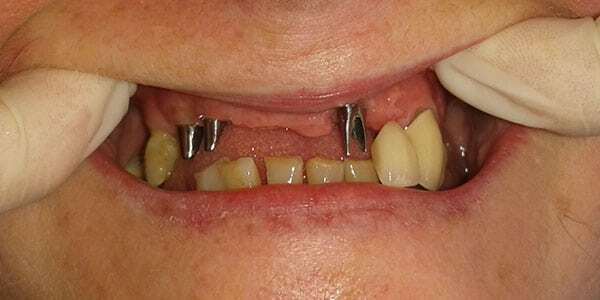 Affordable Dental Implants Bristol | Cost of Replace Missing Tooth in Bristol.